Macbook Pro A1278 2009 2010 2011 2012. A1278 MacBook Pro 13" Unibody Keyboard 2009-2012(Backlit). A1278 Mid-2009, Mid-2010, Early-2011, 2012. This keyboard can be used on A1278 2008 version but several screw positions are not match on the topcase. 45N2141, 45N2176, 45N2211. COMPATIBLE PART NUMBERS 45N2071, 45N2036, 45N2106. MacBookPro12,1 Early 2015: MF839LL/A (2.7 GHz Core i5). MacBookPro12,1 Early 2015: MF841LL/A (2.9 GHz Core i5). MacBookPro12,1 Early 2015: MF843LL/A (3.1 GHz Core i7). MacBookPro11,1 Mid 2014: MGX72LL/A (2.6 Core i5). For Apple Macbook Air A1370 A1465. For Apple Macbook Air A1370 2011 only A1465 2011-2015. Year version 2011 - 2015. 1 x Laptop Keyboard with Backlit/Backlight and screws. Type: Laptop Keyboard with Backlit/Backlight. Description: ---New Apple Macbook Pro 13" A1278 Keyboard BackLight 2009 2010 2011 2012 ---If you laptop uses other colors keyboard. This black one will fit if the color is not the issue for you. ---Layout: US ---Letter: English ---Color: black ---Condition:brand new ---Packing:packed in boxes Compatible models: ---Macbook Pro A1278 2009 2010 2011 2012 ---MB990LL/A ---MB991LL/A ---MC374LL/A ---MC375LL/A ---13" inch LCD screen size Net weight:7oz ---Shipping weight: 8oz. Compatible FRU # :04Y0565 04X1277 04W3174 04W3025 04Y0490. Model :T530 X230 W530 T430 T430i. Tested Fully Functional Working Pull Keyboard. 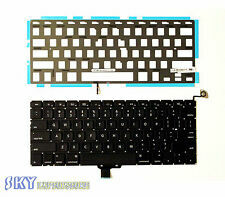 NEW US Keyboard for Apple MacBook Pro 15" A1286 2011 2012. 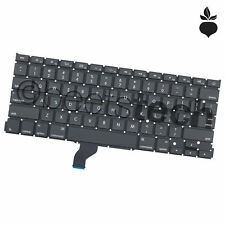 US Keyboard for Apple MacBook Pro 15" A1286 2011 2012 also compatible 2009 2010. A1286 MacBook Pro 2011, 2012 also compatible 2009 2010. MacBook Pro "Core 2 Duo" 2.66 15" (Unibody). MacBookAir4,2 Mid 2011: MD226LL/A(1.8 GHz Core i7)MacBook Air 13" A1466. MacBook 13". MacBook Unibody 13". MacBook Air 11". MacBook Air 13". MacBook Pro 13". MacBook Pro 15". MacBook Pro Unibody 13". Trending at $27.14eBay determines this price through a machine learned model of the product's sale prices within the last 90 days. 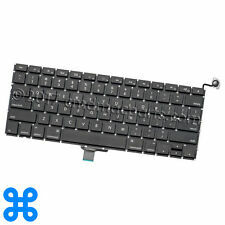 US Keyboard for Apple MacBook Air 13" A1369 2011 A1466 2012 2013 2014 2015. MacBook Air 13" A1369 2011 A1466 2012 2013 2014 2015. MacBook Air "Core i5" 1.6 13" (Early 2015). MacBook Air "Core i7" 2.2 13" (Early 2015). MacBookPro11,4 Mid 2015 (IG): MJLQ2LL/A (2.2 GHz Core i7). MacBookPro11,4 Mid 2015 (IG): MJLQ2LL/A BTO (2.5 GHz Core i7). MacBookPro11,4 Mid 2015 (IG): MJLQ2LL/A BTO (2.8 GHz Core i7). MacBookPro11,5 Mid 2015 (DG): MJLT2LL/A (2.5 GHz Core i7). 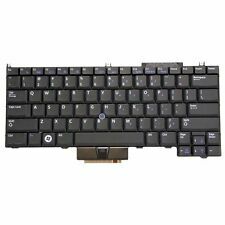 Compatible with Dell Inspiron 15-5000 5547. Model Number(s): A1398. 1x 15" MacBook Pro A1398 KeyboardUS Black Keyboard, excluded keyboard backlit. There are multiple parts depending on your manufacture date. Black US English Layout. Compatible Model(s). MacBook Unibody 13". MacBook Pro Unibody 13". MacBook Pro Unibody 15". MacBook Pro Unibody 17". MacBook 13". MacBook Air 11". MacBook Air 13". MacBook Pro 13". I have up for sale Lenovo Thinkpad T460s laptop Spanish keyboard. Part number 00PA537. Compatible FRU # : 04W3063 0B36069 04Y0639 04X1353 04X1240 04W3137 0B36069 0C02034 0C02034 0C01923 0B36143 0C01923. Model : X230 T430 T530 W530. Tested Fully Functional Working Pull Keyboard. MacBook Air 13" A1466. Apple Part # 661-7480 (not printed on part). Part # 069-9397 (printed on part). NoneWHAT'S IN THE BOX. - MD760LL/B | Core i5 1.4 GHz. SPECIAL NOTES. - BTO/CTO | Core i7 2.2 GHz. Dell Inspiron 14-3000 Serie 3441 3442 3443 3451 3458. Layout: Sp Spanish Latin. MacBook Pro Unibody 15” A1286. Compatible with A1286 2009 2010 2011 2012. MacBookPro9,1 Mid 2012: MD104LL/A (2.7 GHz Core i7). MacBookPro9,1 Mid 2012: MD104LL/A (2.6 GHz Core i7). MacBookPro9,1 Mid 2012: MD103LL/A (2.3 GHz Core i7). If you have SPILLED LIQUID in your keyboard, make sure that the keyboard connector on the motherboard IS NOT CORRODED before you replace it. New laptop replacement keyboard. This notebook keyboard is the backlit version. Compatible Part #'s: PVDG3, 0PVDG3, NSK-DX0BQ, AER01U00020. Compatible Models: Dell Inspiron 14Z (N411Z), Dell Vostro V131, 3550, 3560, Dell XPS 15 (L502X). 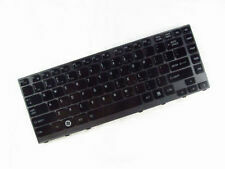 New Dell Latitude E6320 E6330 E6420 E6430 E6440 E5420 E5430 laptop Keyboard Backlit US with Pointer. Dell Latitude E6320 E6330 E6420 E6430 E6440 E5420 E5430 laptop. only keyboard without any screws. gray pointer W8 key. 0F4R5H 0R68N6. 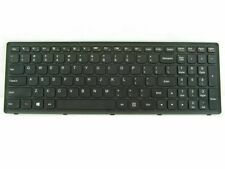 Condition: ORIGINAL/GENUINE New DELL Laptop Keyboard. Keyboard Layout: US English. keyboard Color: Black. Keyboard With backlit Function:NO. only keyboard without any screws. Key Features. MPN: 45N2071 04W2753 45N2036 45N2106 45N2141 45N2176 45N2211. Compatible with: IBM Lenovo Thinkpad T400s. 1 IBM Lenovo Thinkpad T400s, T410, T410s, T420i, T510, W510, x220 Laptop Keyboard. IBM Lenovo Thinkpad T410. Laptop Keyboard. with Backlit. What is included: Keyboard x1. Laptop Fan. iPhone iPad Accessory. Computer Accessory. Laptop Hard Drive Cover Caddy. new arrival. New laptop replacement black keyboard. This keyboard is backlit with a blue trackpoint and it also features dual-pointing mouse buttons. If your laptop does not have some of these features then this is not the correct keyboard. This may be the part you need if your keyboard is broken or is missing keys. Compatible Part #'s: D19TR, 0D19TR. Compatible Models: Dell Latitude E5450, E5470, E7450, E7470. **Models above must have trackpoint and mouse buttons built into the keyboard for this item to be compatible. Model :T540 T540P W540 E531 E540 E545 L540. Compatible FRU # :04Y2426 04Y2348. ★Compatible with: IBM Thinkpad T440S T440 E431 T431S E440 L440 L440/L450/L460/T431S/T440P/T440S/T450/T450S/T460. Laptop Keyboard. 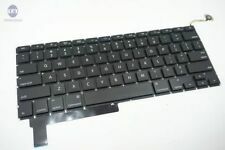 ★What is included Keyboard x 1. Laptop Fan. Laptop Hard Drive Cover Caddy. Genuine OEM US English Keyboard Backlight Screws For MacBook Pro 13" A1278 2009 2010 2011 2012. MacBook Pro 13" A1278 2009 2010 2011 2012. MacBook Pro Unibody A1278. MacBook Pro 5,5 Mid 2009: MB990LL/A (2.26 GHz Core 2 Duo). 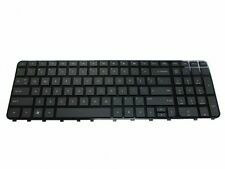 Compatible with New IBM Thinkpad T420 T520 T520i W520 W520i. Comp atible models: HP Pavilion G7-2000 / G7-2100 / G7z-2100 CTO / G7-2200 / G7z-2200 CTO / G7-2300 Series. Macbook Air 11" A1370 A1465 & 13" A1369 A1466 Individual Replacement key AC06 ! Make sure that the key version you need is AC06 (Type 1). If you don't specific one, I will send 11" ones for you. You will receive one single key and the matching key clip (hinge) that attaches it to the keyboard. Make sure to look at the key clip (hinge) you are replacing to match up exactly that you need. The item is used and in complete working condition. Sometimes, it is necessary to replace your laptop keyboard. Keyboards take the most abuse outside of the computer's casing, making them a common replacement part. Whether you have an Apple, Lenovo, Dell, Chromebook, or gaming laptop, replacement keyboards are available for your specific brand. What is an island-style keyboard on a laptop? This style is often called a Chiclet keyboard due to their resemblance to chewing gum by the same name. But, they are also referred to as island-style because the keys are raised above the surface of the PC's casing once installed from beneath. This style prevents dust and debris from finding its way into the device's circuits and to the Intel processor and other components. What is the shift key on a laptop? The shift on a laptop keyboard modifies the letters and characters. Holding down shift and typing a letter will allow you to make the letter uppercase. However, holding down shift and pressing a number or special character will enter the character listed on the key above the number or character. These characters vary from one laptop keyboard to the next. Can you replace a keyboard on a laptop? Yes, you can. You will need to know the make and series of your computer and choose the correct one. This is important because Lenovo, ASUS, Dell, HP, and MacBooks all use different hardware and configurations. How do you connect a keyboard to a laptop? A laptop keyboard is connected to your the motherboard using a data cable. These cables are thin and can be fragile. When you begin removing the casing of machine, be aware that these cables will be attached. You do not want to damage your speakers, touchpad, and other components. The manufacturer of your device, whether it is a Chromebook or MacBook, may offer repair instructions for your PC on their company website. Look for instructions for your specific device. Make note of your Intel processor and operating system, such as Windows 10, as these will help you find the correct documentation. Other series from the same company may have different instructions. Follow the manufacturer's instructions to complete the installation of your replacement keyboard. Do you have alternative options? Yes. You can purchase an external keyboard for your gaming laptop or PC. These connect to your device using either a wired USB or wireless Bluetooth connection. You simply connect a Bluetooth device by pairing it to your PC and most USB devices are plug-and-play, meaning the software will be installed once it is plugged into a USB port. If you decide to go the wireless route, keep in mind that you will need to charge your new external component from time to time. When choosing a Bluetooth model, consider battery life and your needs. If the battery life is not sufficient for your use, look for a model that is or go with a wired USB connection.